When you have a retail store, you certainly want to make sure that you are doing everything you can to make sure the business is a success. However, the retail world tends to be fraught with mistakes, and you might be making some of them. In this post, we will look at five of the most egregious retail mistakes you do not want to make and how you can avoid them. One of the biggest mistakes that some retail stores make is not providing their customers with the right amount of care and attention. You want to make sure your customers are treated well, have people who can answer their questions, and help them to make decisions on the products they want to buy. You also want good customer service that can take care of them if any problems arise. No one likes to walk into a store that has poor organisation in the front or in the back. If the shelves are a mess, it can be almost impossible to know what you have in stock. It can be difficult for the customers to find anything, and more often than not, they will just leave and buy from someone else. There is no time in today’s world for a disorganised store, especially when it is so easy to buy from the web instead. Unless you have a specialty boutique, you want to make sure your prices are in line with what the competition is charging. People will often travel across town if the price is low enough. Keep your prices at an affordable level. Sure, you might be selling some of the items in your store, but you could be doing so much better. You should make sure you are working on upselling and add-on sales to help improve your bottom line. 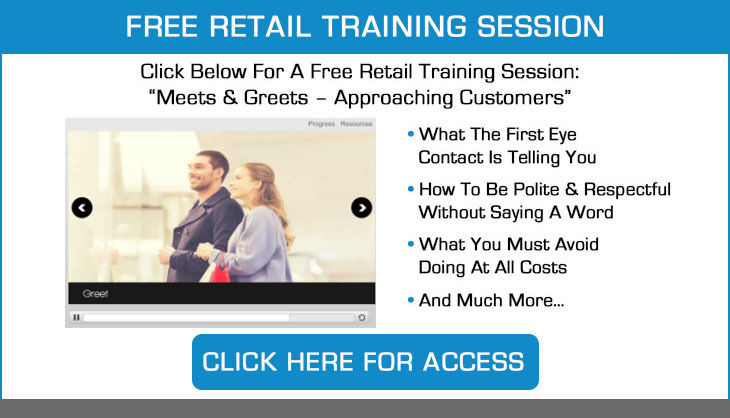 Many retail employees do not understand just how important these types of sales are for the business. Some retail establishments are fine with the status quo. They feel they are doing well enough and they do not really care much about improving. This is a massive mistake! You should always take the time to review the way you are doing things and look for ways that you can improve for your customers and your employees. Take the time to review the store and to walk through the store and look for any areas where you might be able to make those improvements. Whether it is changing the location of add-on items, putting old stock on sale, or setting up a customer service, there are plenty of things you can do to make changes that will improve your store. These are five retail mistakes, but there are more out there. However, once you get these five issues under control, you should be able to find and fix anything else that might be plaguing you.